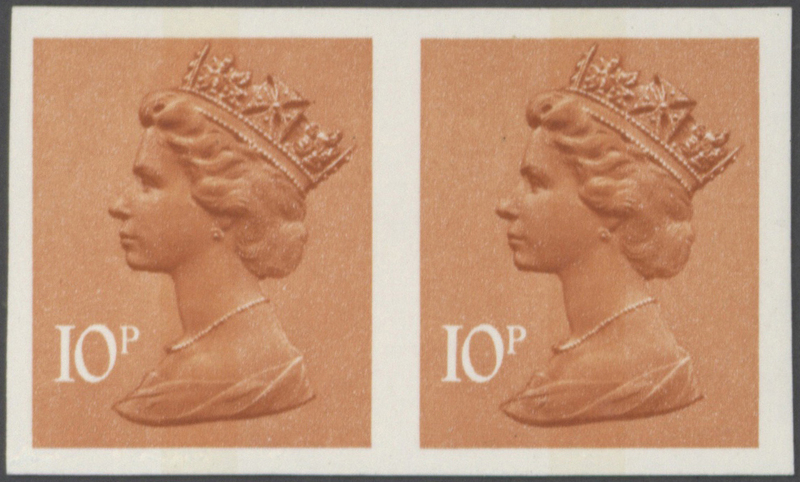 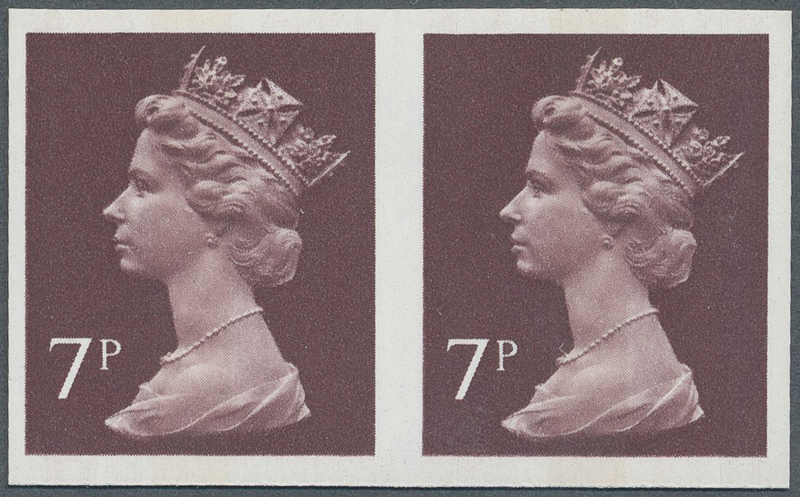 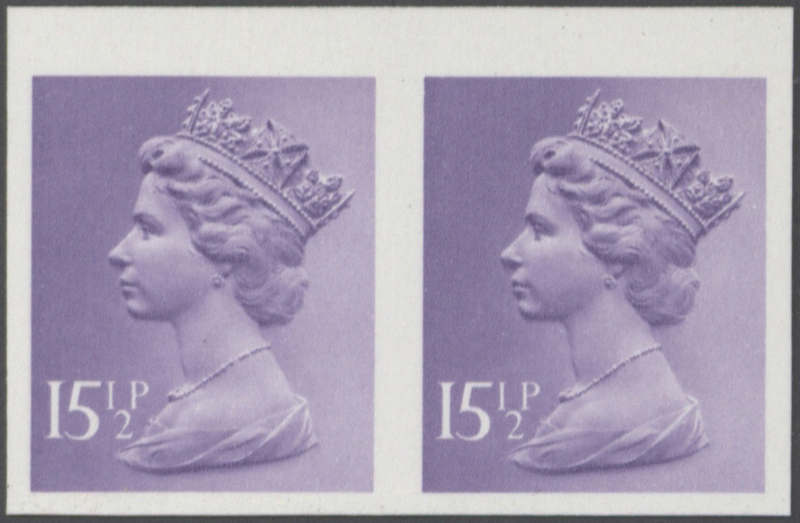 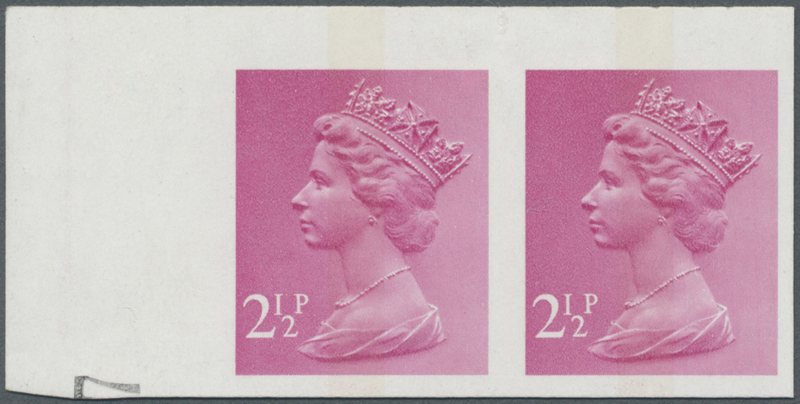 16374 postfrisch (never hinged) ** SG X875 a 1977, 7 p. purple-brown, 1 centre band, imperforated pair, unmounted mint. 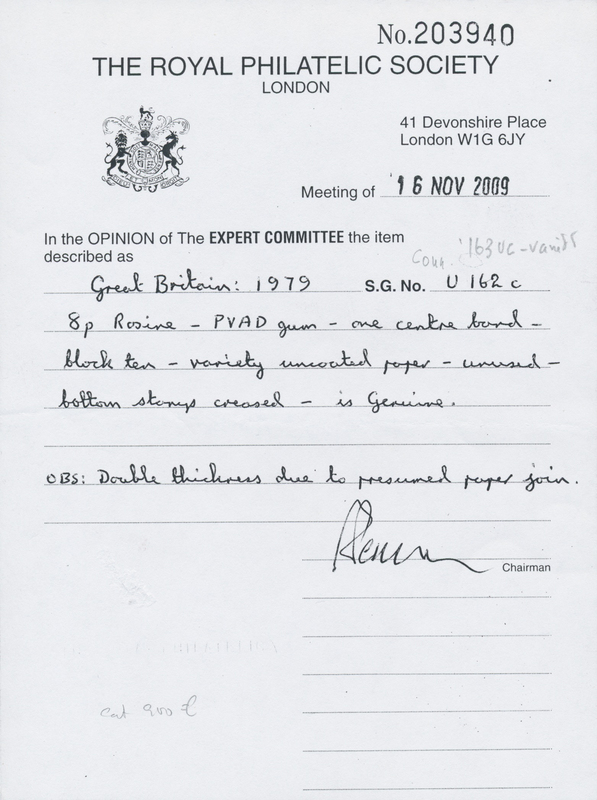 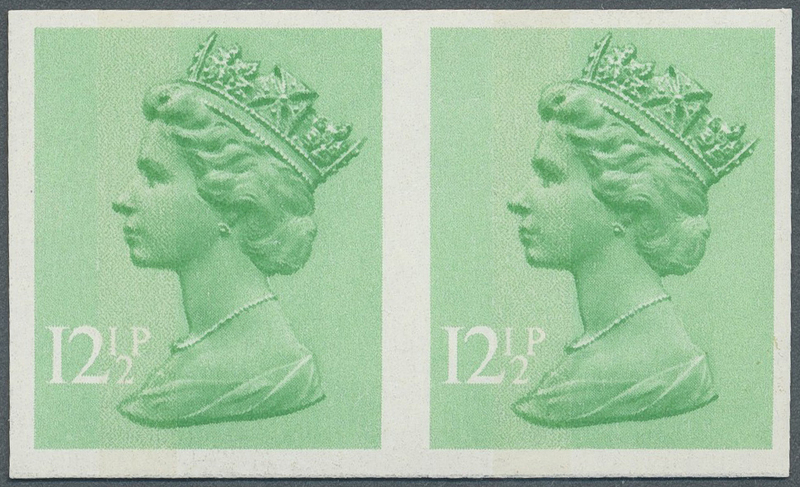 SG 140,- £. 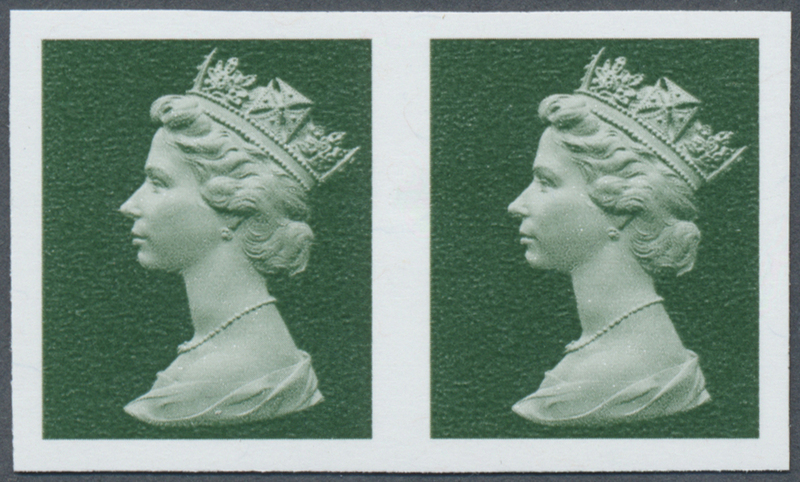 16380 postfrisch (never hinged) ** SG X898 a 1982, 12½ p. light emerald, 1 centre band, imperforated pair, unmounted mint, signed. 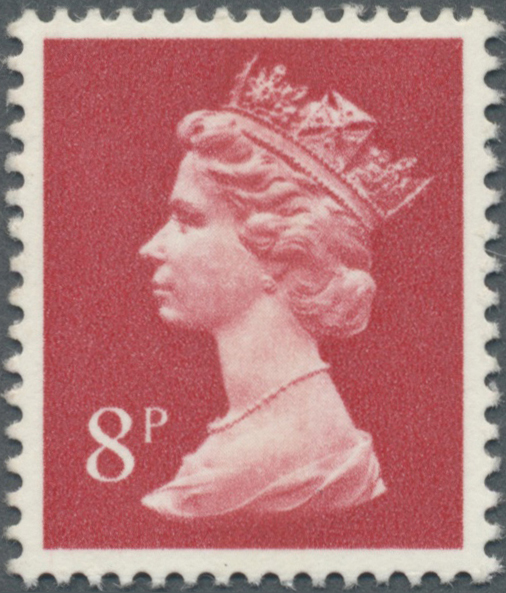 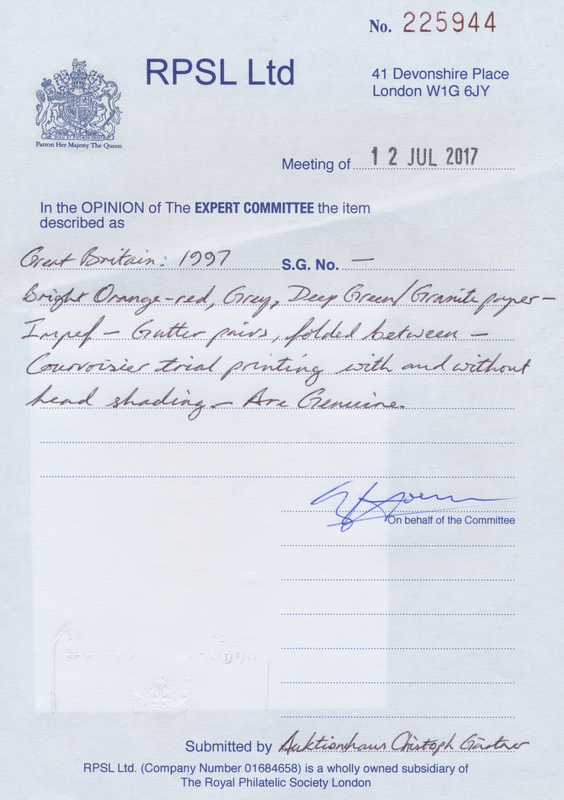 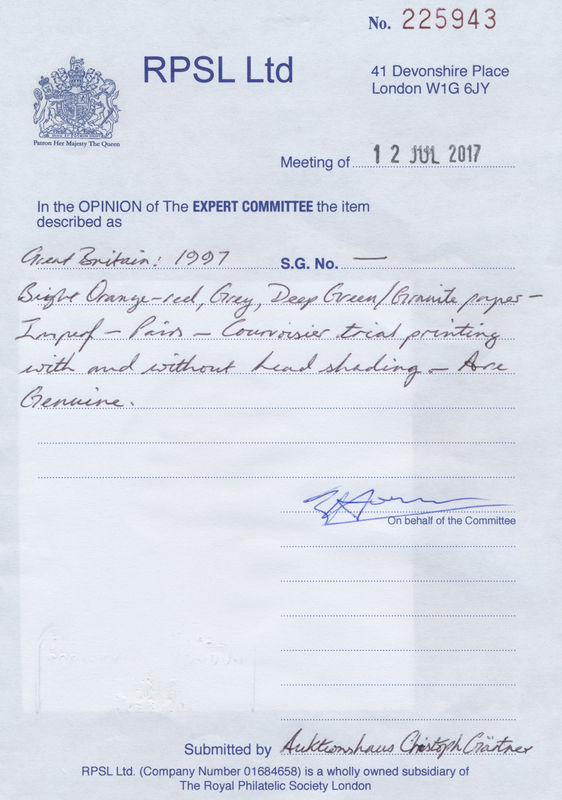 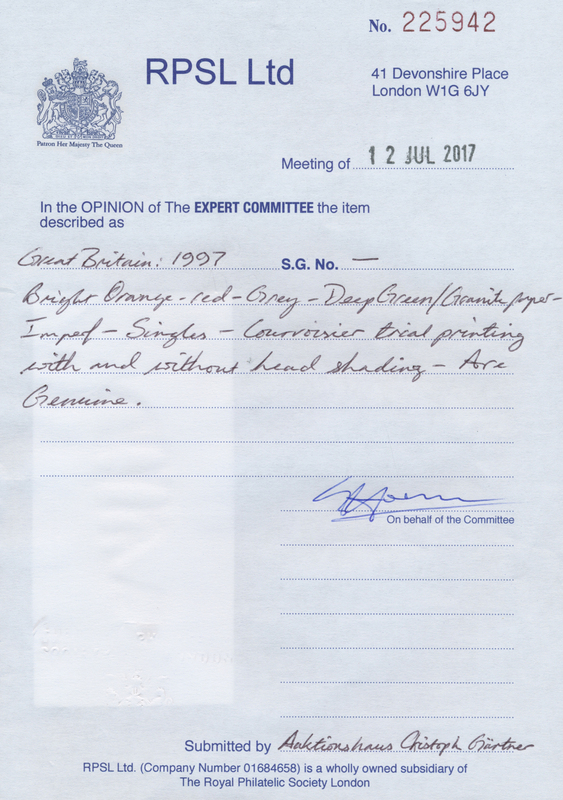 SG 120,- £. 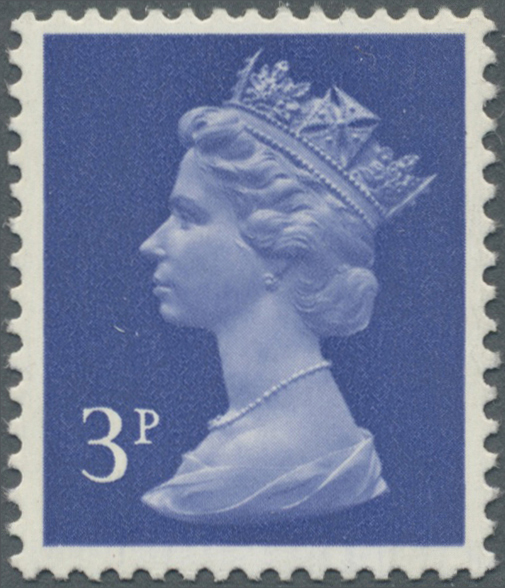 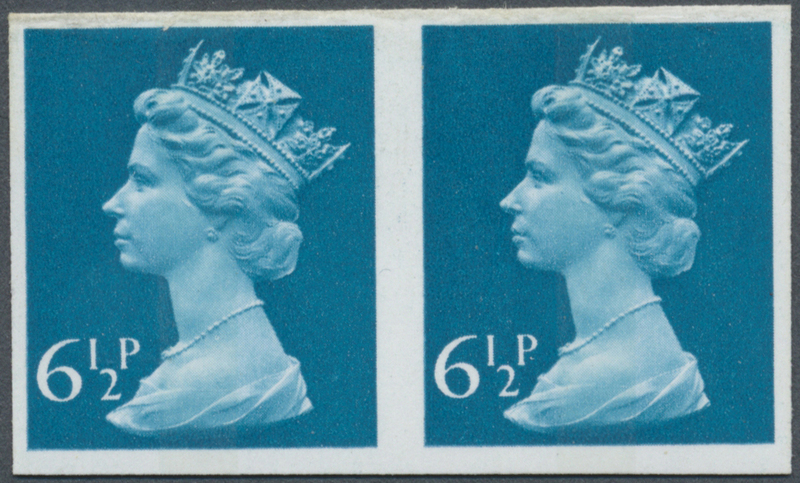 16383 postfrisch (never hinged) ** SG X924 a 1980, ½ p. turquoise-blue, imperforated pair, unmounted mint, signed. 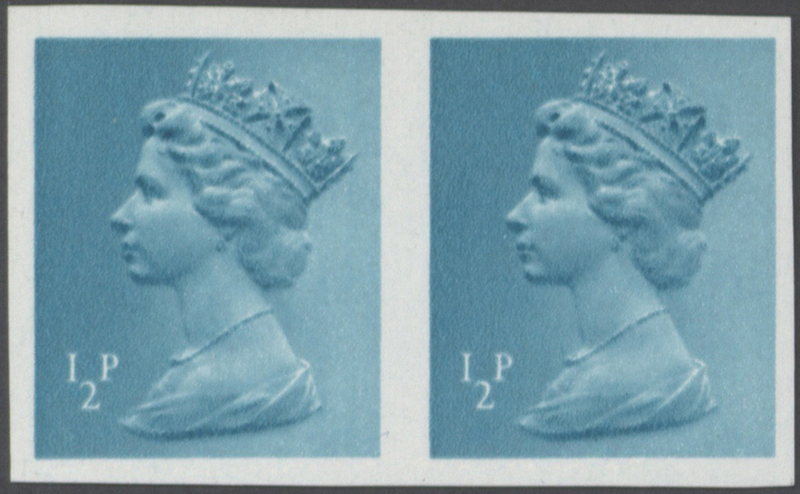 SG 140,- £. 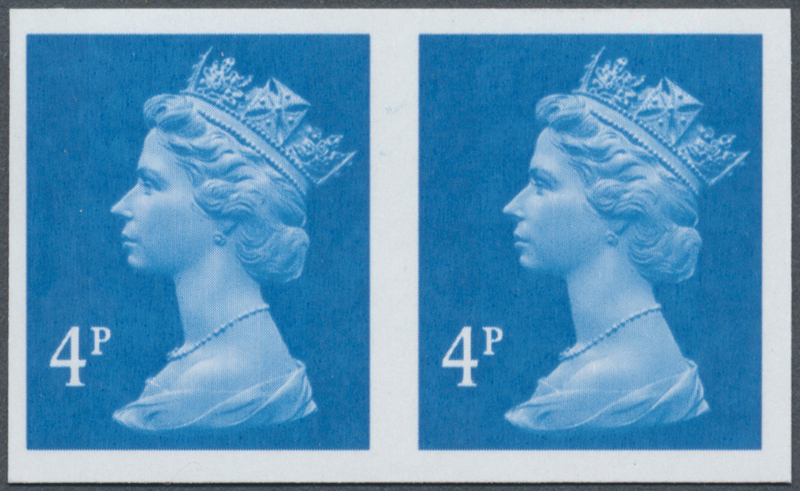 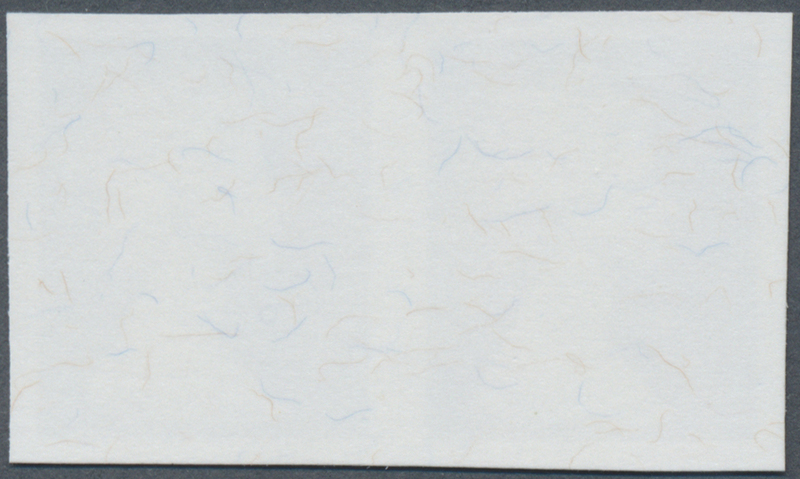 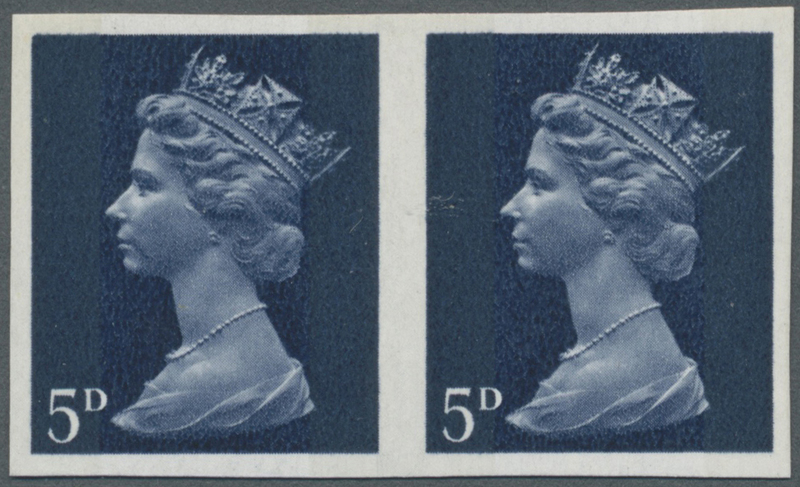 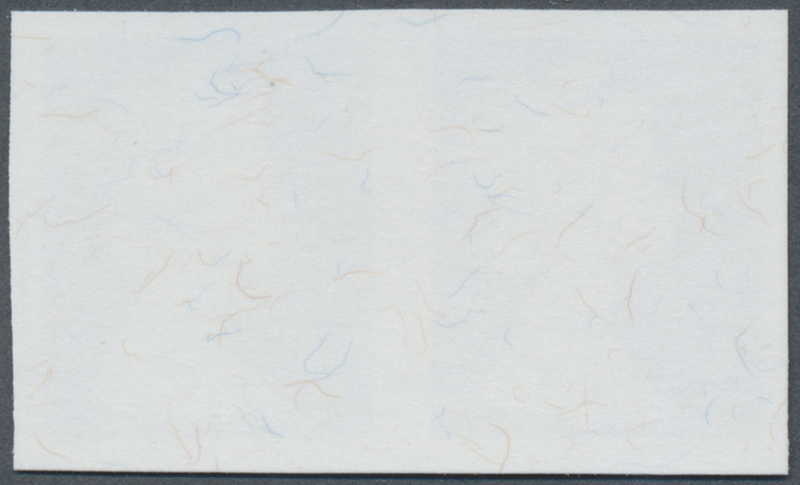 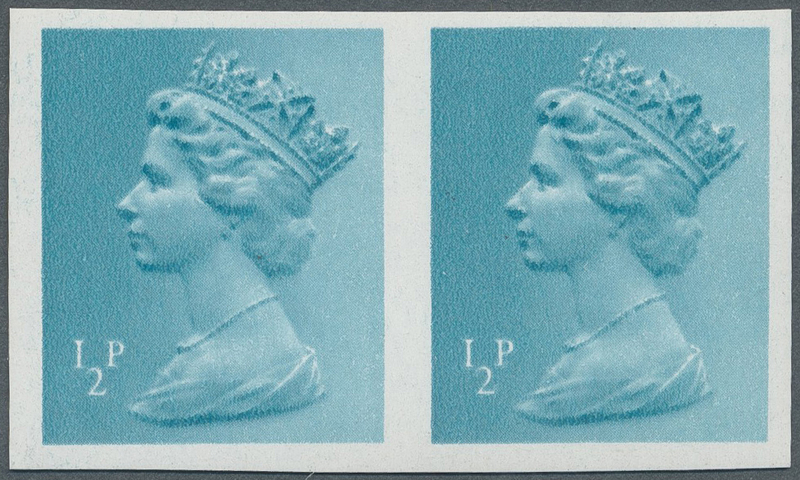 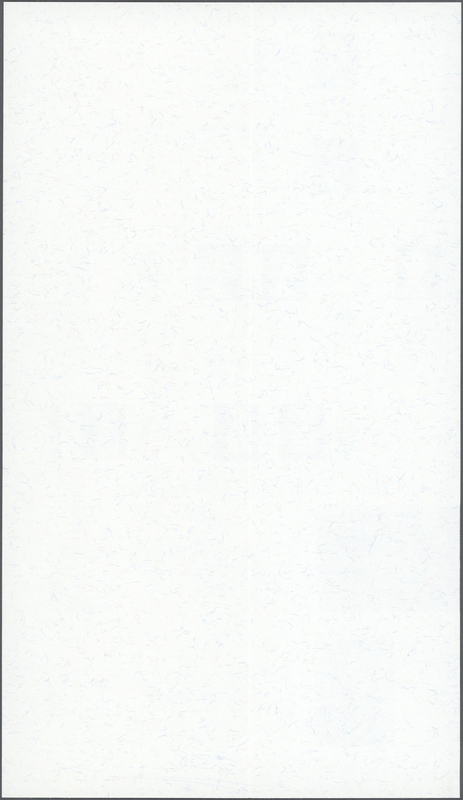 16384 postfrisch (never hinged) ** SG X924 a 1980, 1/2 p. turquoise-blue, imperforated horizontal pair, unmounted mint. 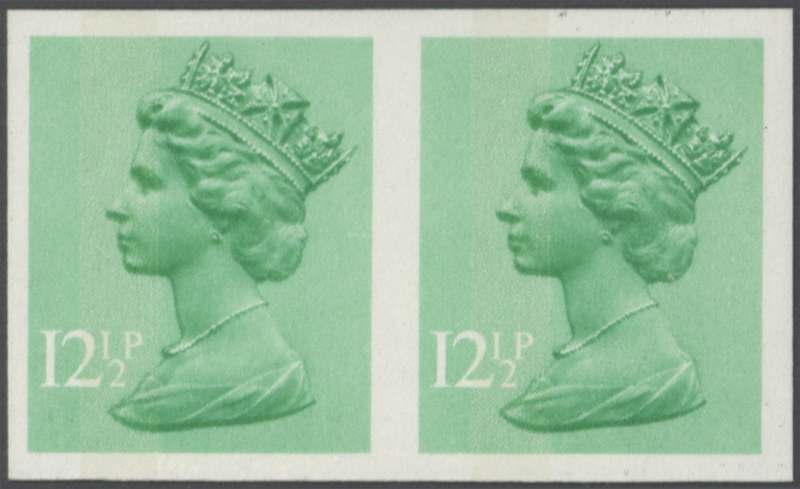 SG 140,- £. 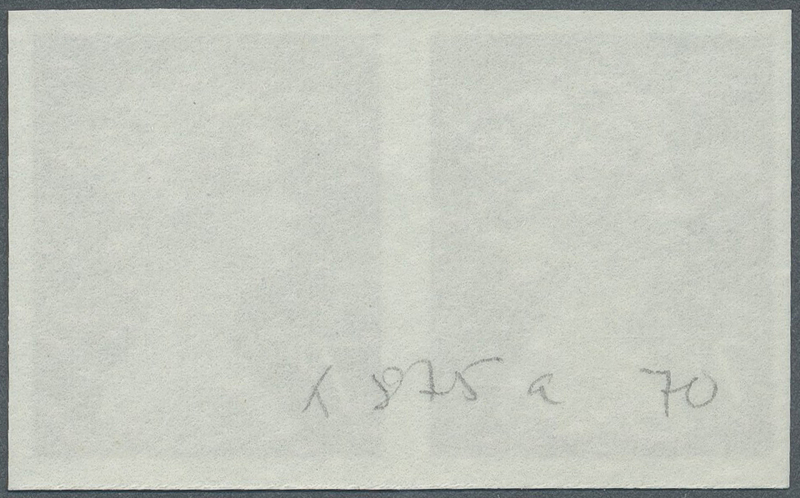 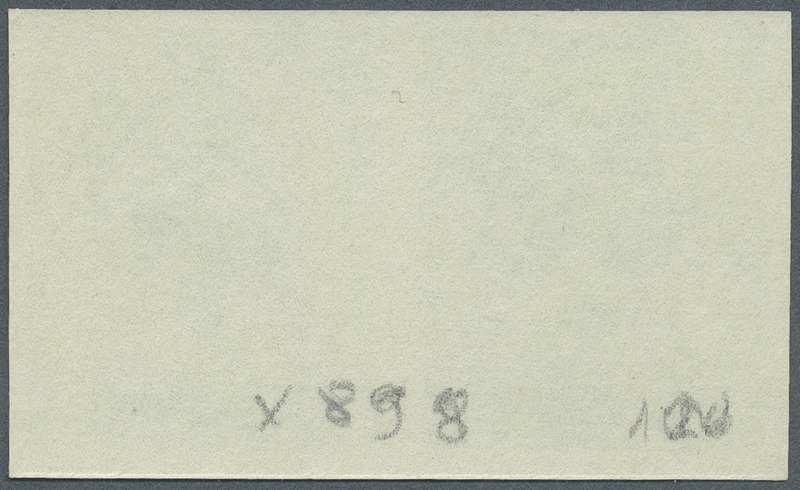 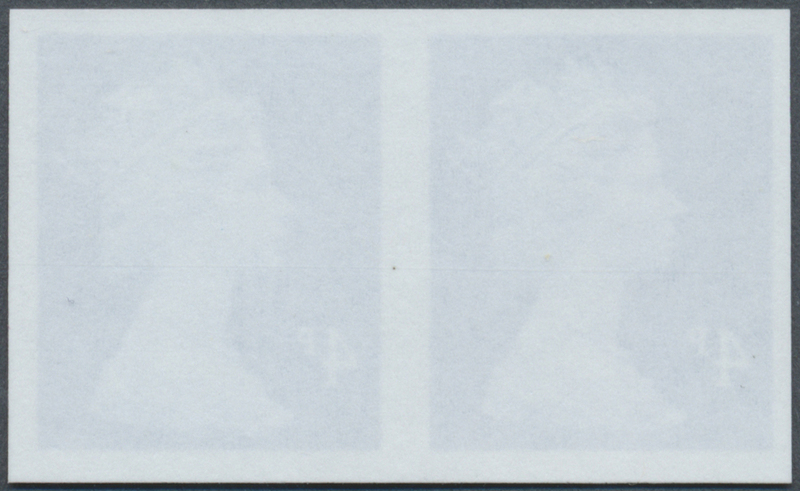 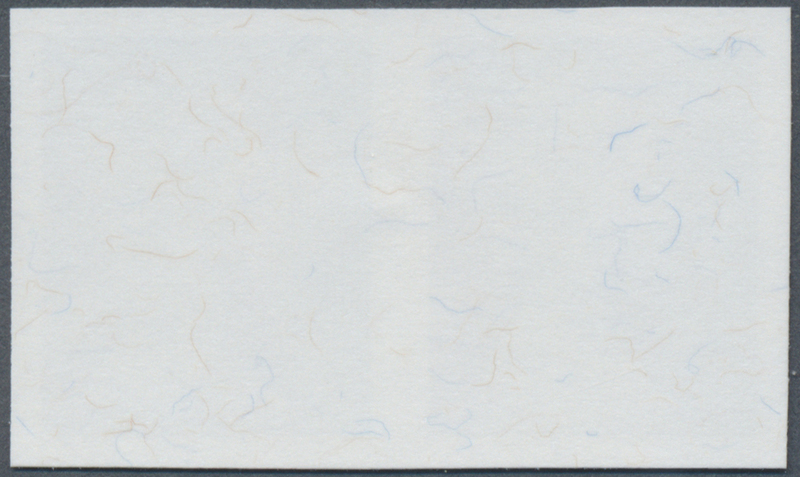 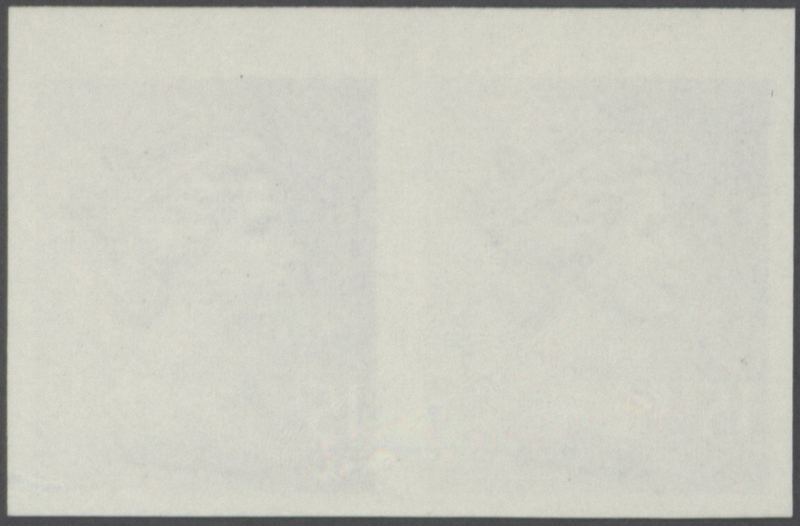 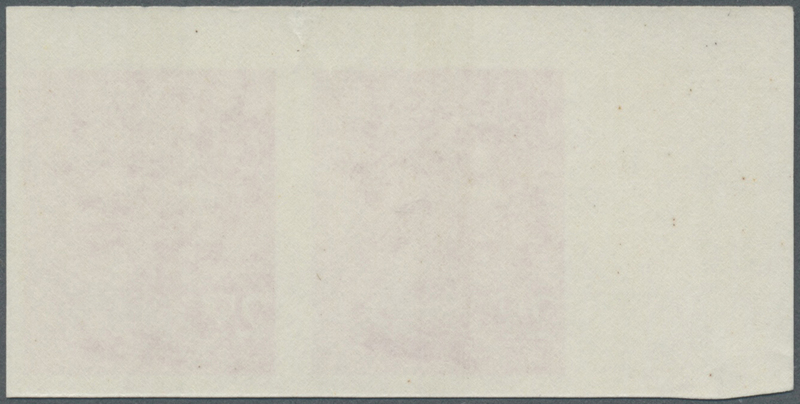 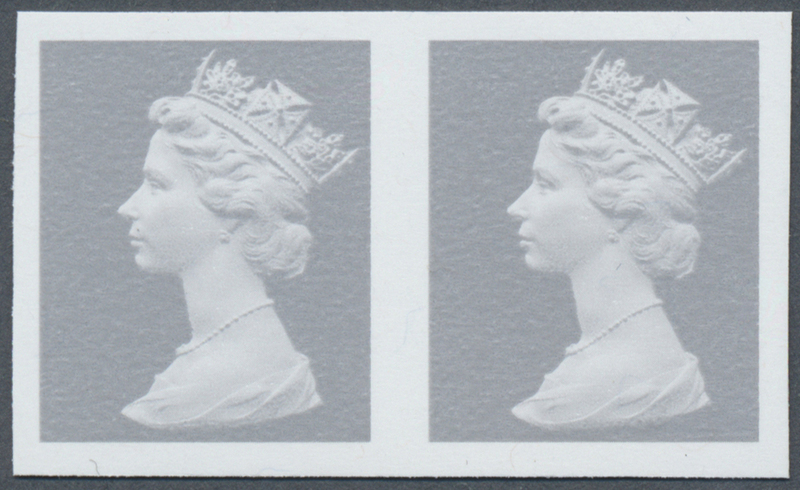 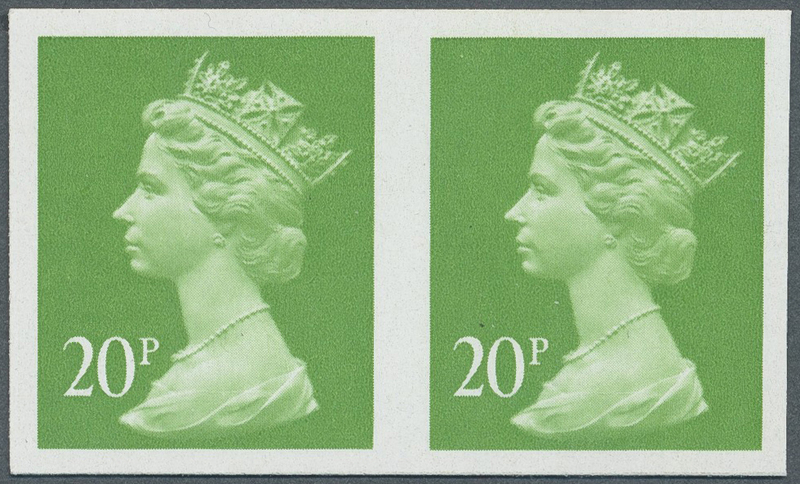 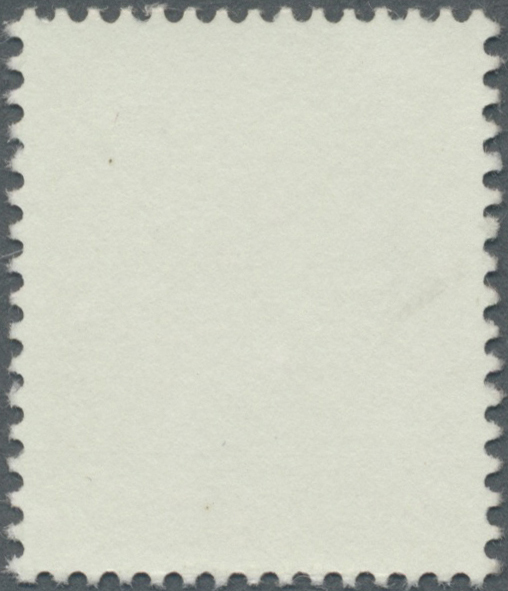 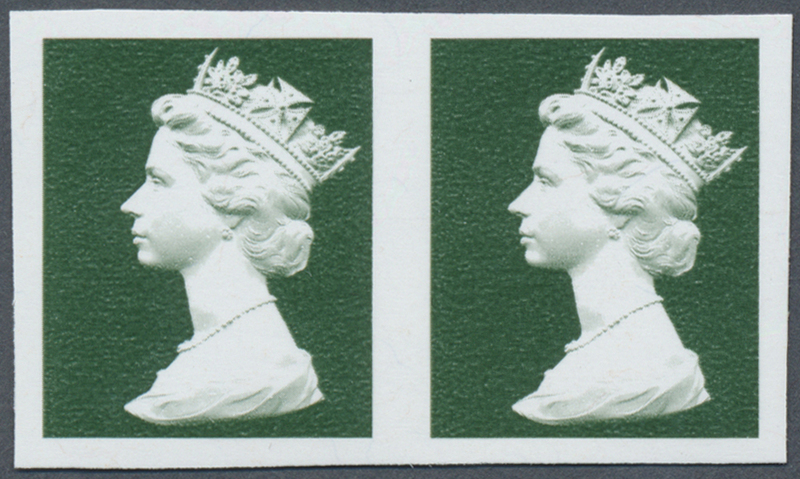 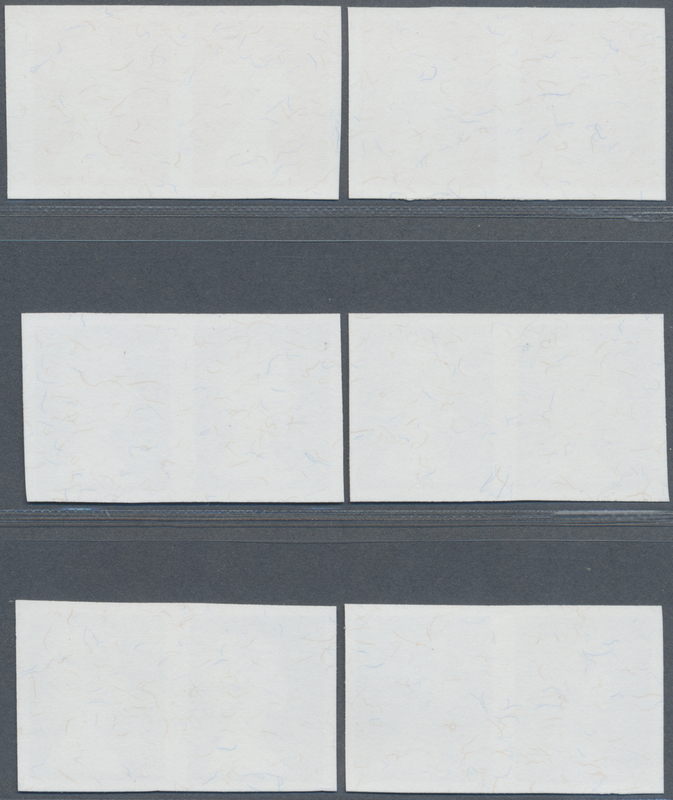 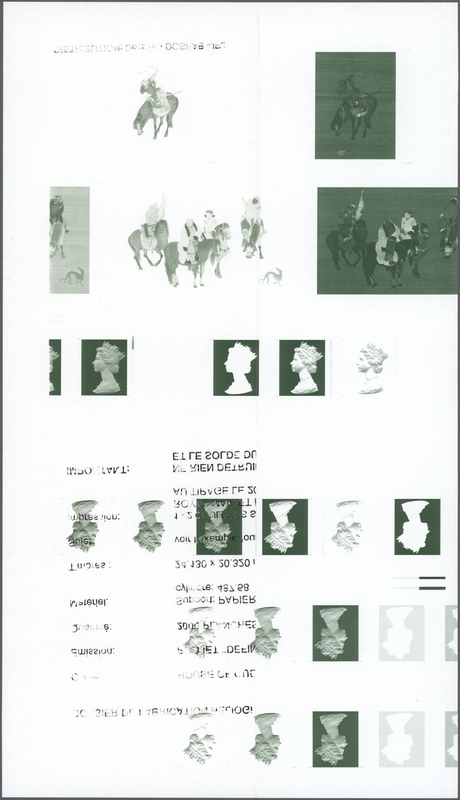 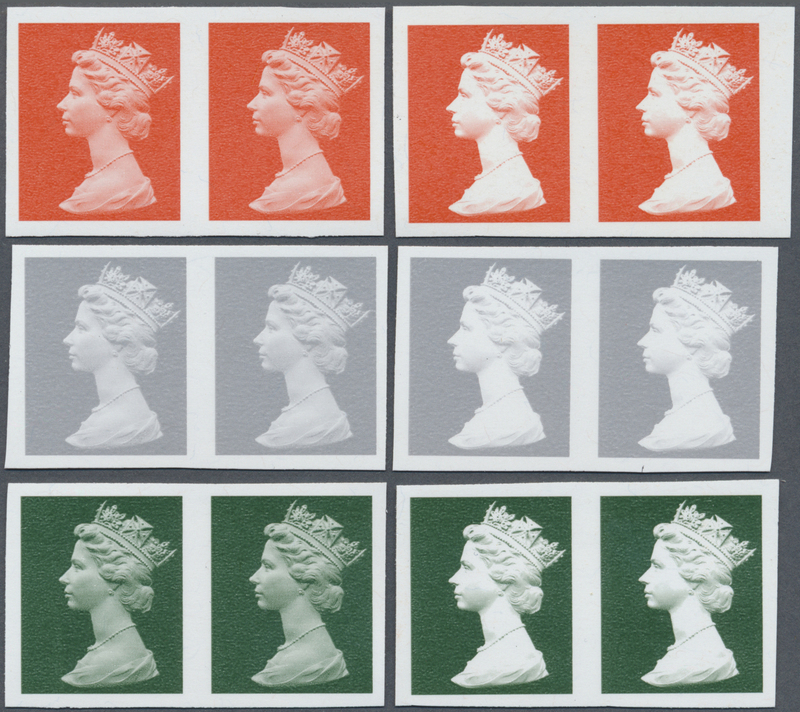 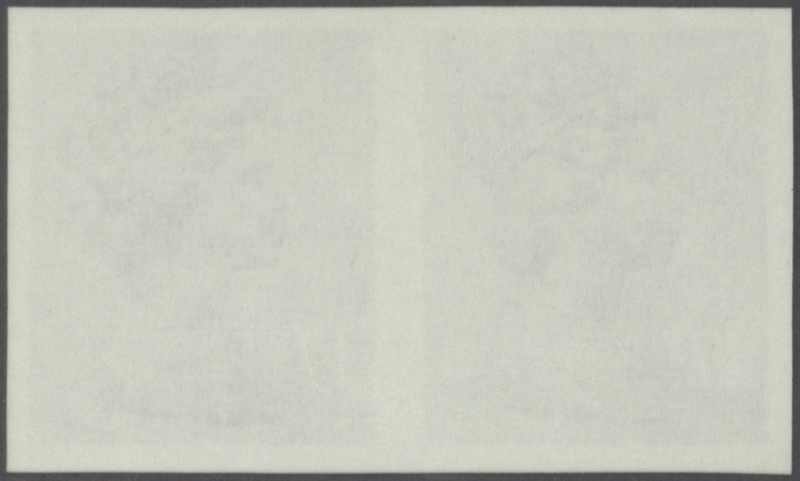 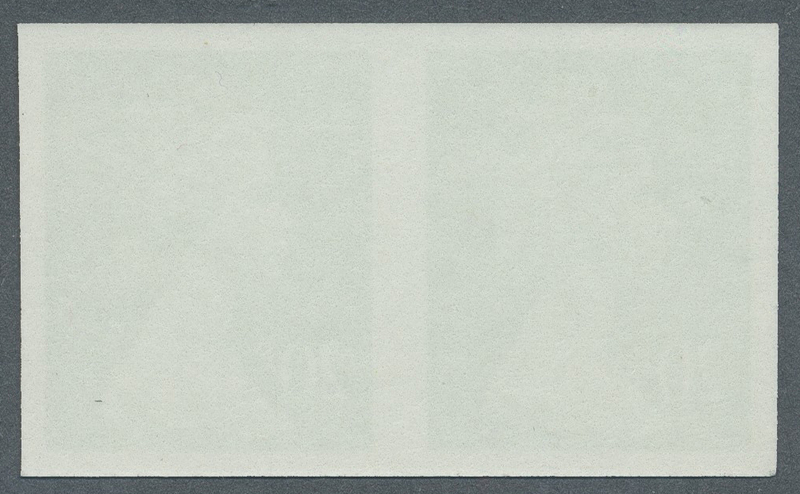 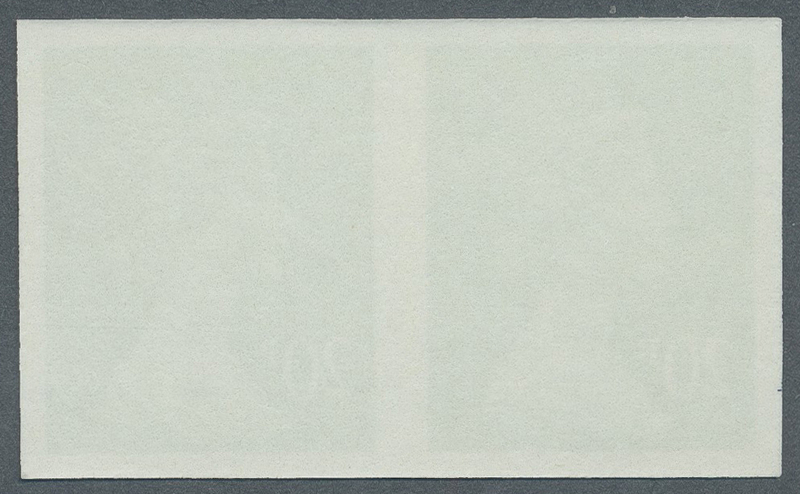 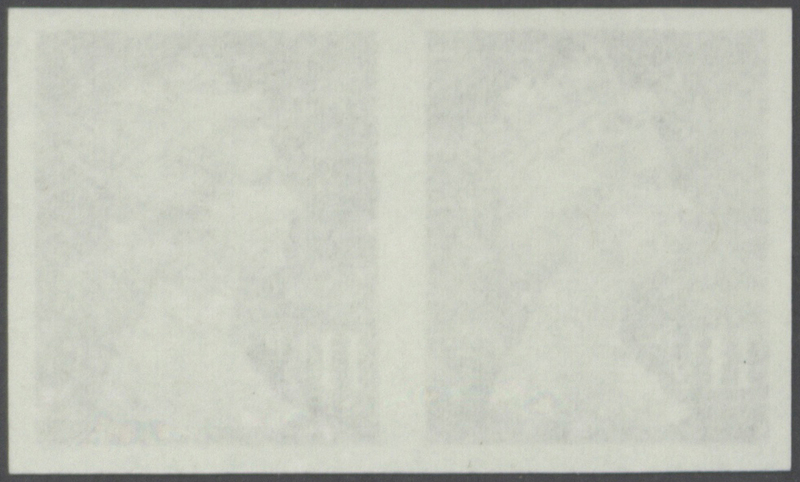 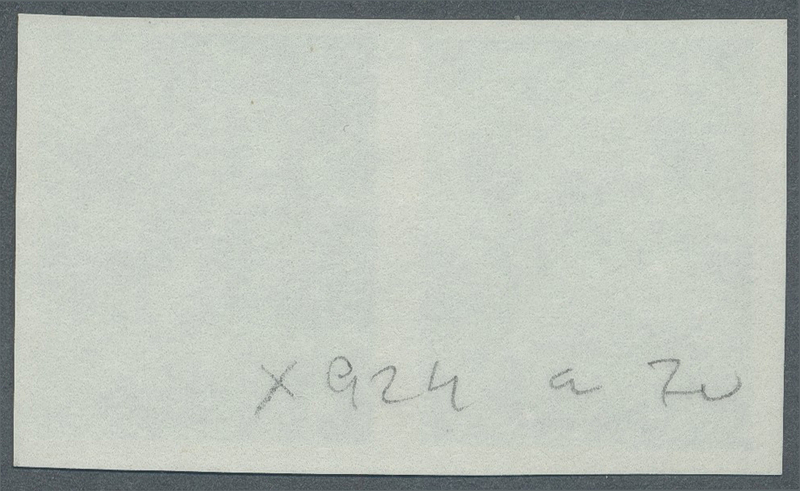 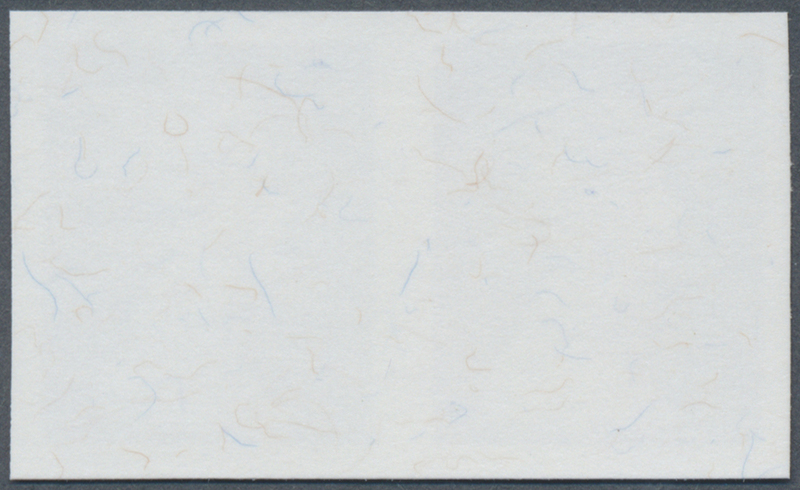 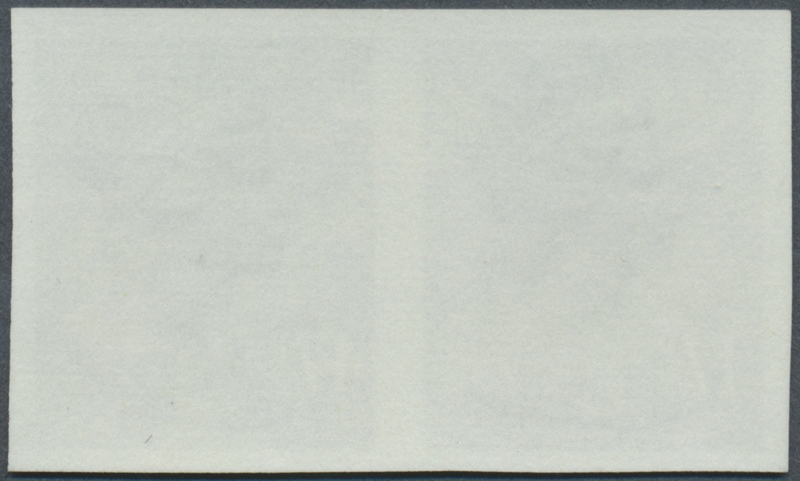 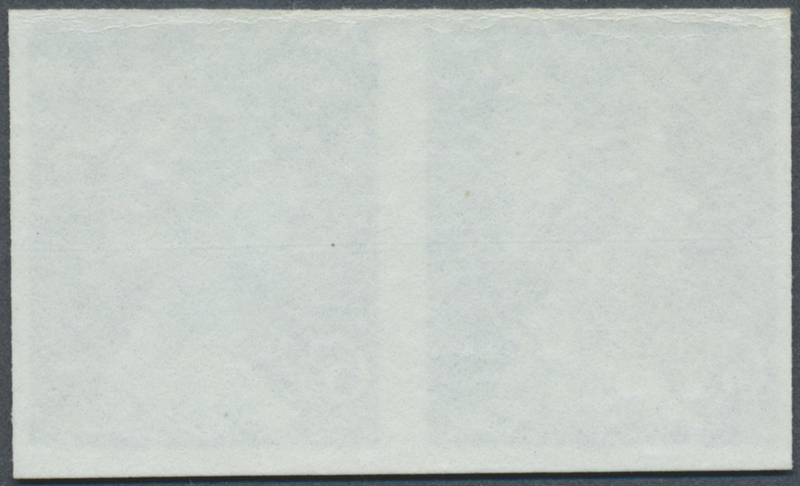 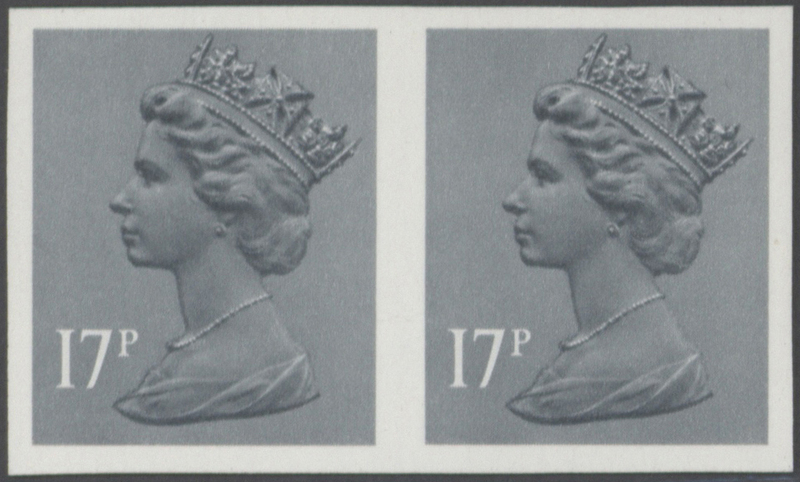 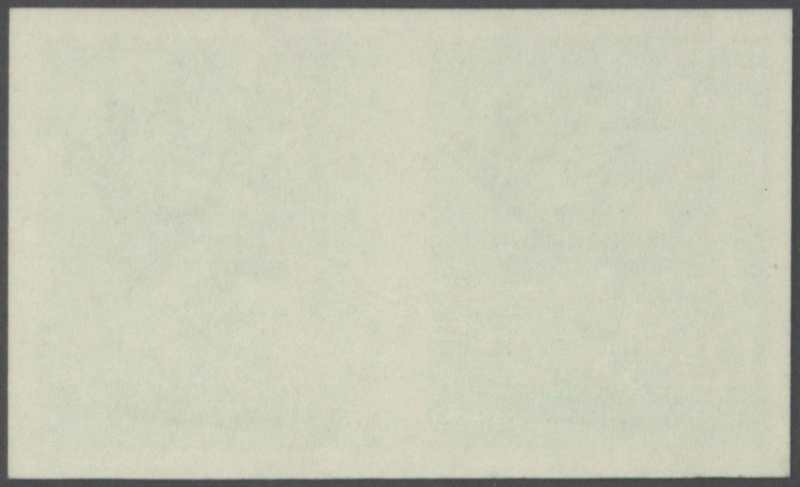 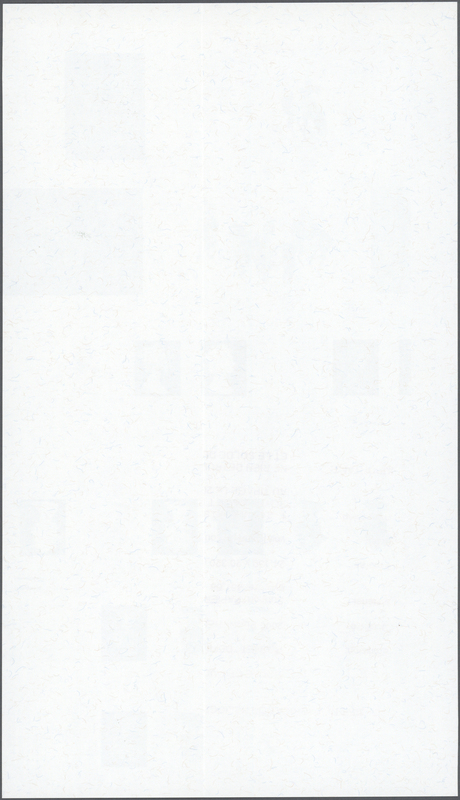 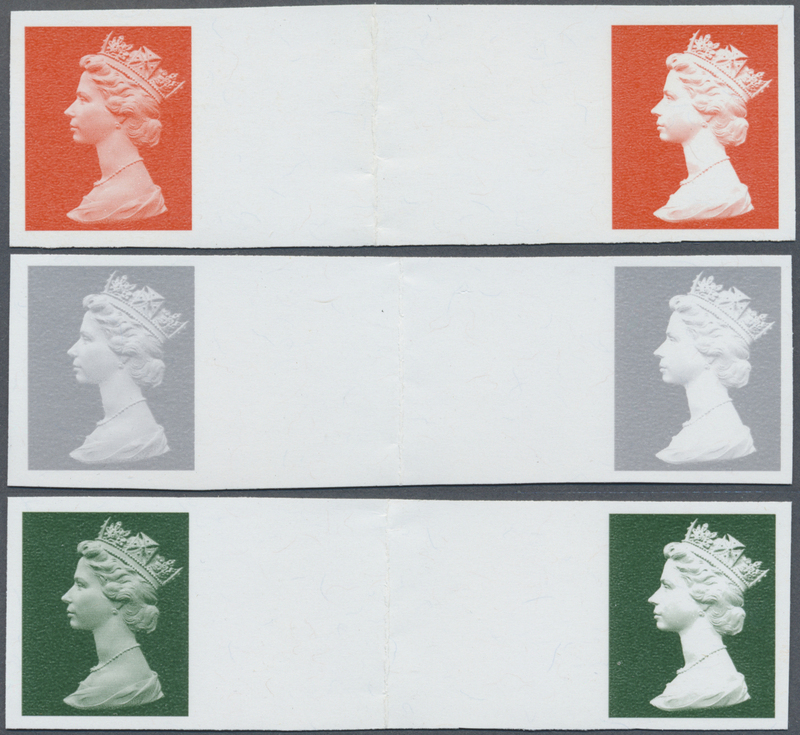 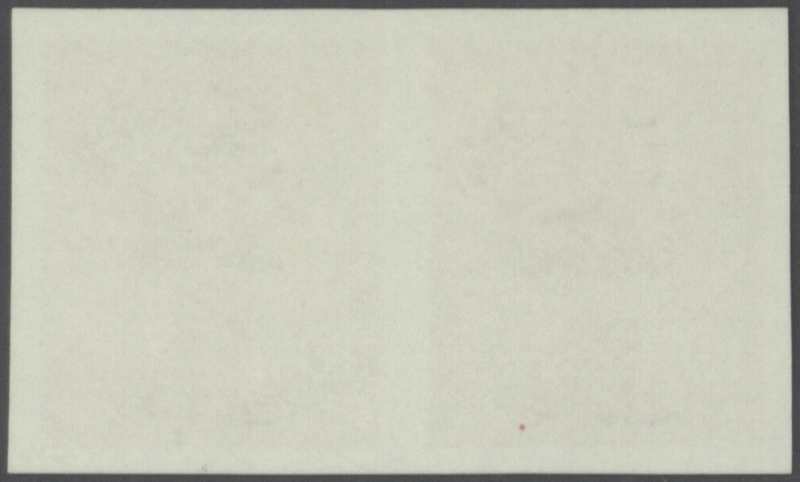 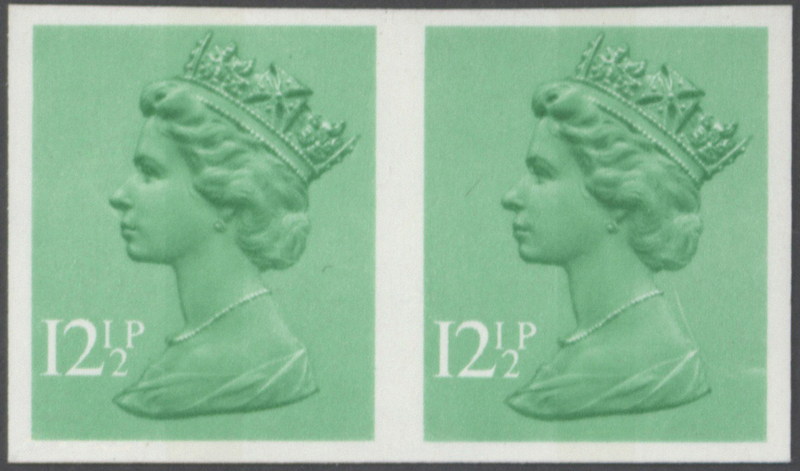 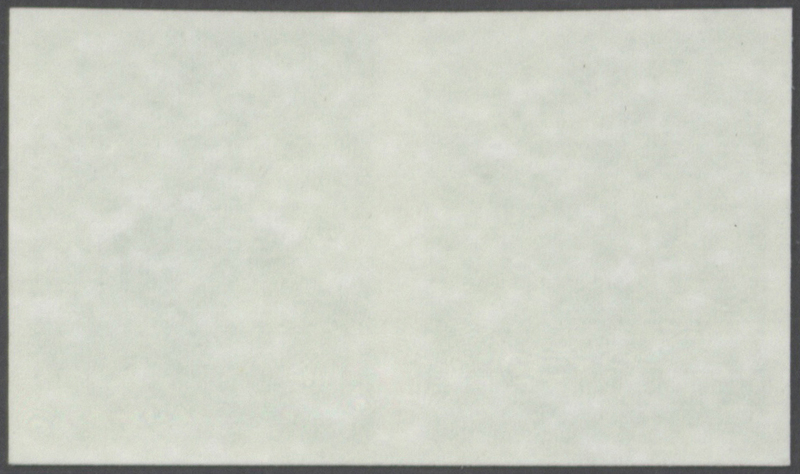 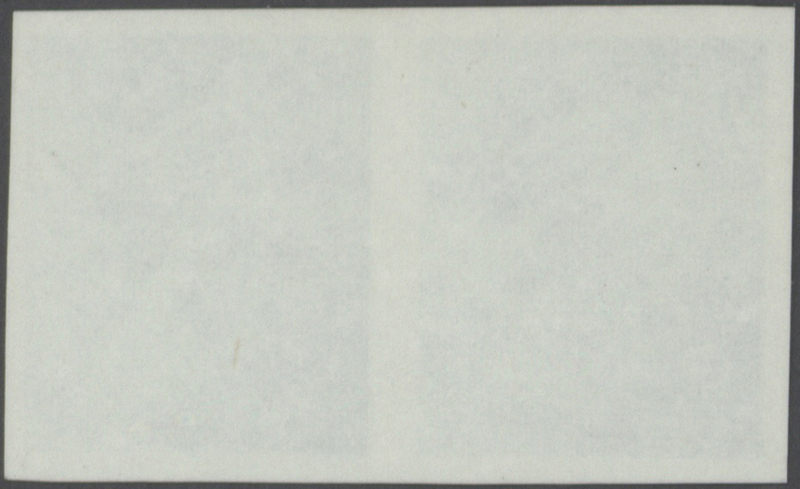 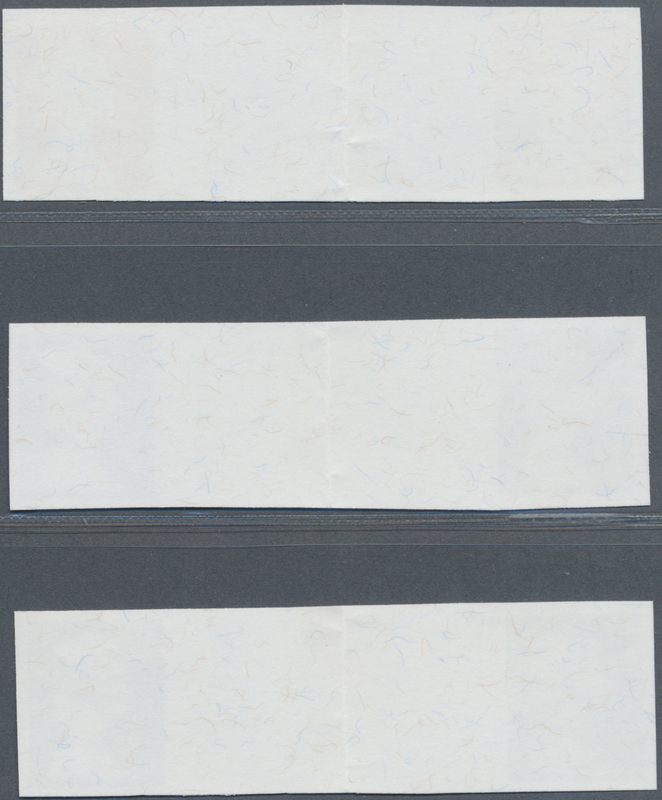 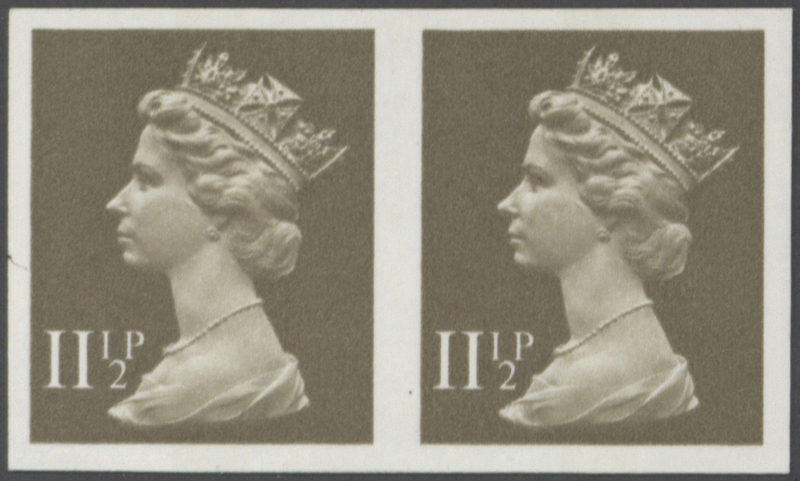 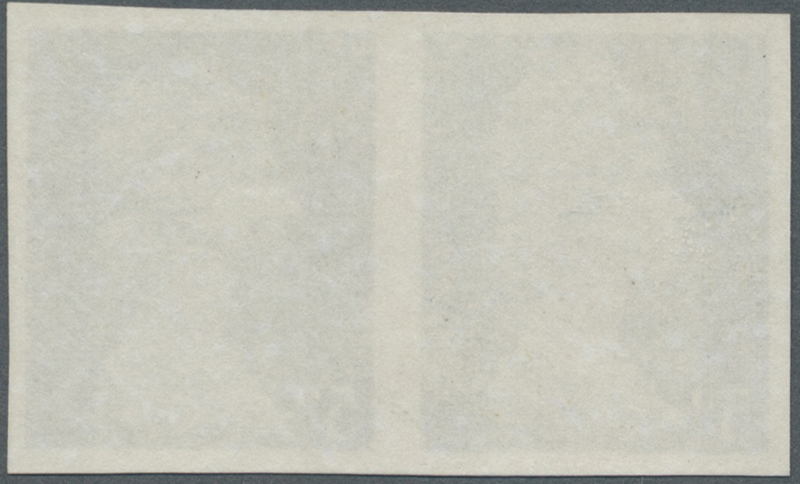 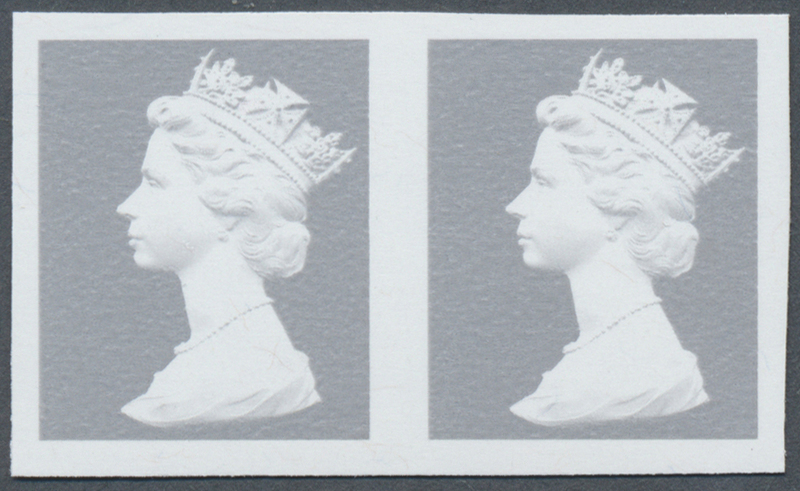 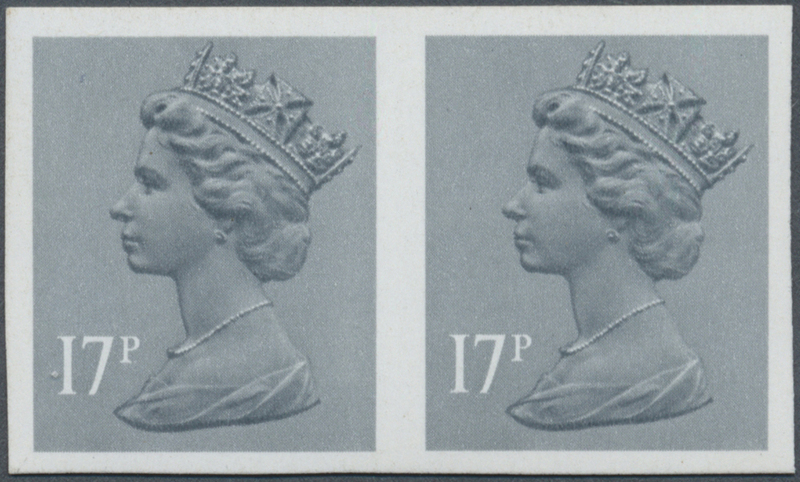 16389 postfrisch (never hinged) ** SG X955 a 1984, 18 p. deep olive-grey, imperforated horizontal pair, unmounted mint. 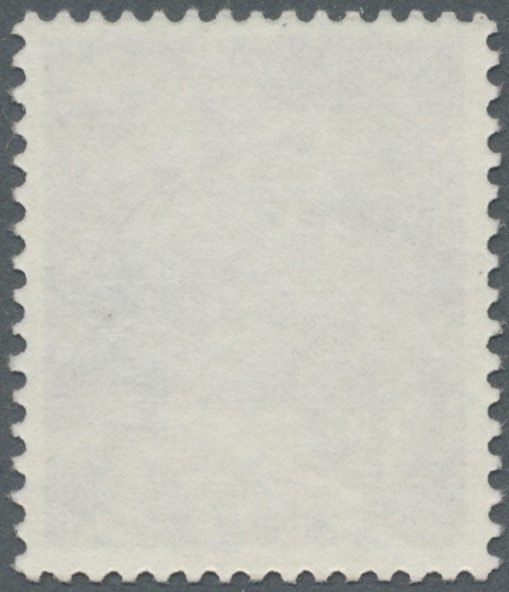 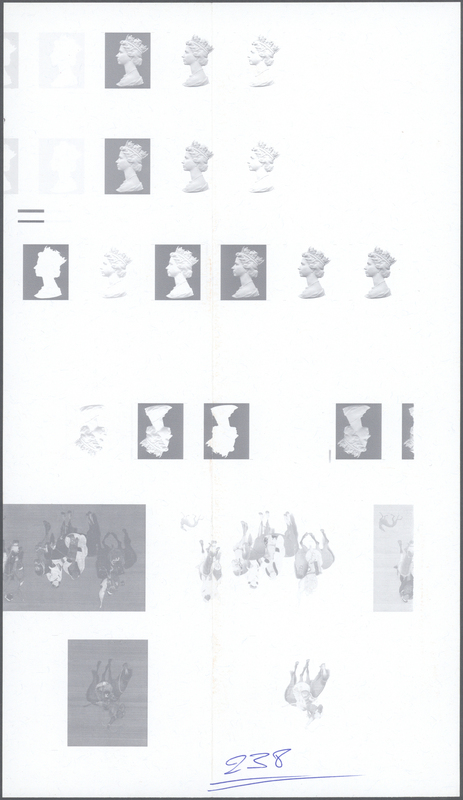 SG 150,- £.